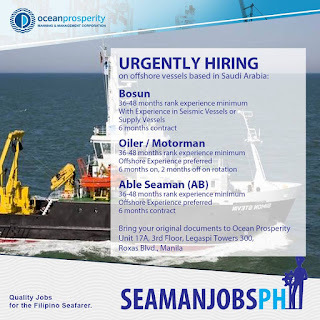 SEAMAN JOB INFO - Ocean Prosperity is hiring the following on offshore vessels based in Saudi Arabia joining date A.S.A.P. 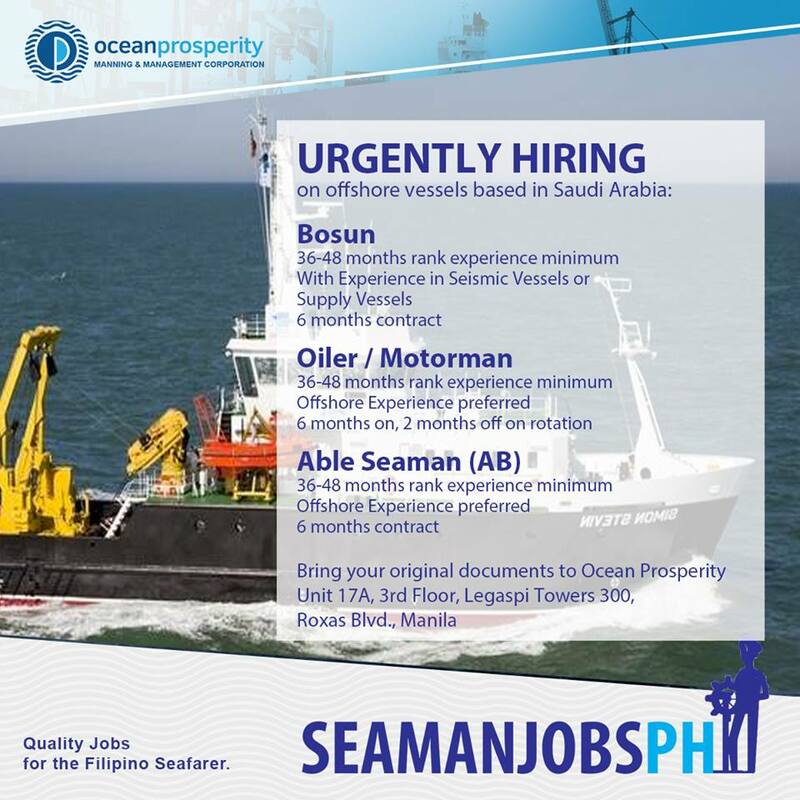 Interested seamen may apply directly at Ocean Prosperity, Unit 17A, 3rd Floor, Legaspi Towers 300, Roxas Blvd., Manila. 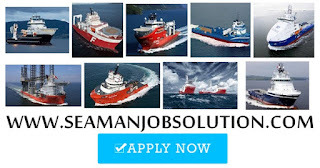 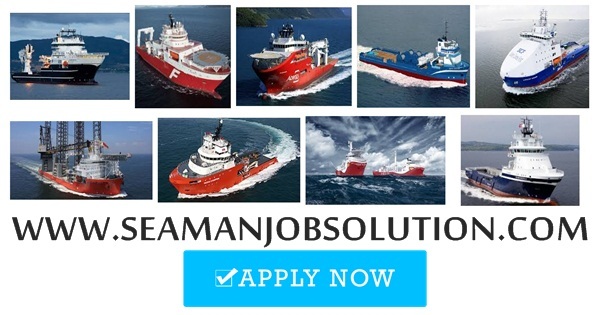 0 Response to "Urgently Able seaman, Oiler, Bosun Offshore Supply Vessel"